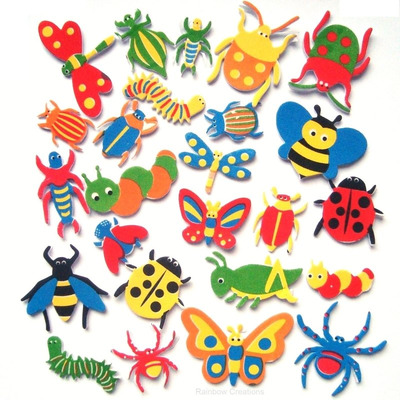 Pack of 25 minibeast foam stickers.These fun foam stickers are brightly coloured and attractive. A great teaching resource for minibeast or insect topics at school and discussions at home. Children will love to use these friendly creatures to decorate their work.